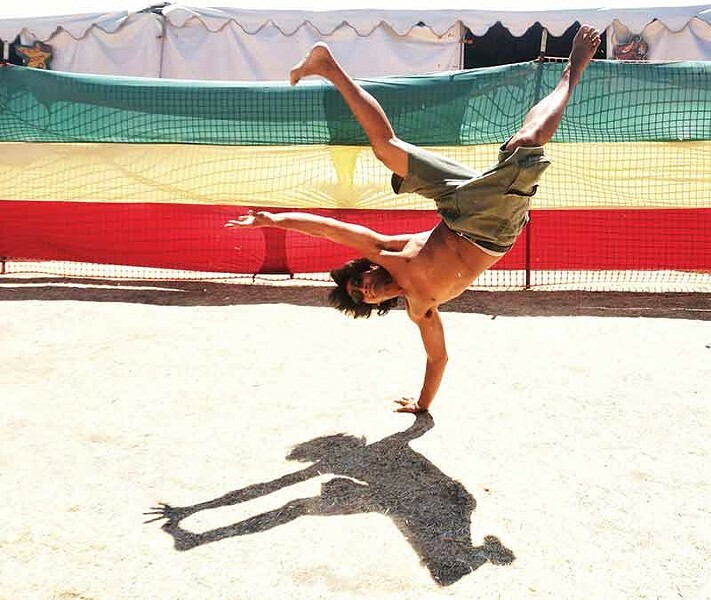 Reckless Rex Atlenza, leader of the break dance crew Humboldt Rockers, breaks a move backstage at Reggae on the River Sunday afternoon, Aug. 3. 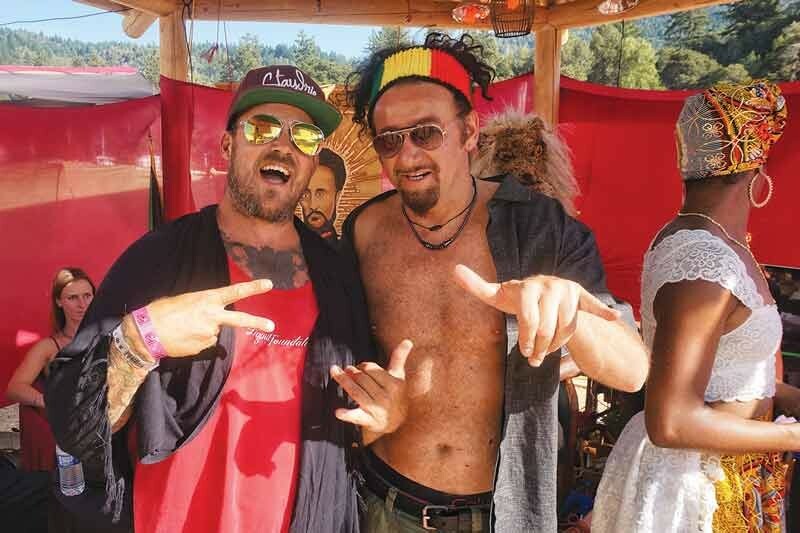 Jamin Hazelaar, lead singer of rock/reggae band Thicker Than Thieves, and dub/electronica artist Gaudi hang loose at Reggae all weekend after playing sets opening Friday and closing Thursday respectively. Reggae icon Jimmy Cliff closes the show Saturday night, Aug. 2, at French's Camp, playing Reggae on the River for the third time including the 10th, 20th and this year's 30th annual festival.